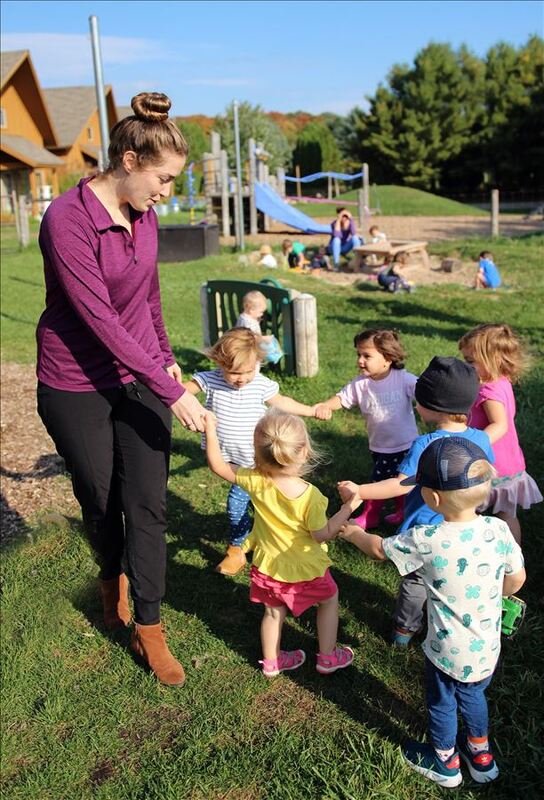 For toddlers, our Young Children’s Community (YCC) includes children from 16 months (or confidently walking) to three years old. Under the guidance of nurturing adults, a child in this environment learns how to gain independence by doing. Children entering this program participate in activities that promote independence, concentration, and sense of accomplishment. For this reason, children must walk independently, feed themselves solid foods, and have given up their morning nap. In the YCC, everything is child-sized to foster a child's independence—a functional environment with low tables and chairs, child-sized plates, silverware, brooms, dustpans, and toddler-sized toilets. Children learn to explore, guided by their interests and the challenge of being responsible for themselves and others in their community. Children of this age gravitate toward activities of movement. 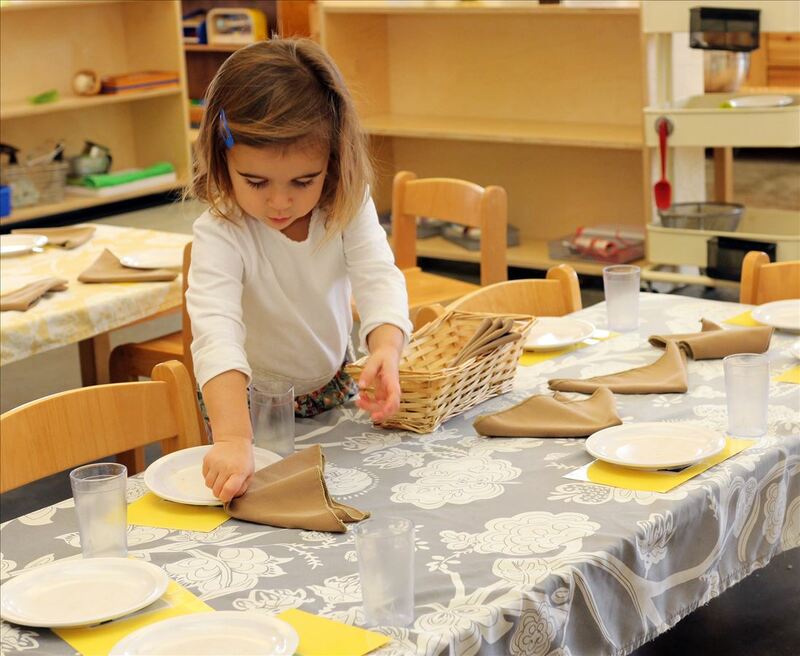 Within the classroom and the outdoor environment, children are offered a wide variety of activities to refine motor skills: pouring water, polishing objects, washing tables, running, shoveling snow, and painting on the easel. Such activities enable children to care for themselves, learn to use the toilet independently and prepare the table for community meals. In small class groups of 12 children, students learn how to explore the world together and begin understanding the ins and outs of social interactions. Cooperative small-group activities such as music, exploration of vocabulary, food preparation, and story-telling help children understand how they contribute to their community. Children’s brains grow at a rate that is unmatched during any other time of their life. The ability to acquire and assimilate information was observed by Dr. Maria Montessori consistently in young children across every culture, socio-economic circumstance and family design. Montessori called this “the absorbent mind.” Now, neurological research proves what she observed: that the young child’s brain is a source of enormous potential and promise, where neural pathways in regular use are reinforced and those ignored or neglected are pruned away. Each of those brain connections is a platform for future learning; making sure children have as varied and stimulating an environment as possible, to give scope to all their talents. When children outgrow this environment, around age three, they move to Primary.